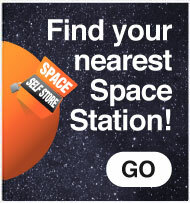 The reasons for using SPACE self storage for domestic purposes are endless. You could be moving house! Creating a new look at your current home by decorating or renovating. Do you need a clear out or have you simply used all your available storage space? 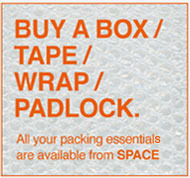 Whatever your reason, SPACE offer secure, dry and clean storage for all your personal possessions. (Although, we do ask you don´t store any flammable liquids on site). A wide range of units and container sizes are available, you choose your space personally, meaning you only ever pay for the space you need.